Wisconsin Business Formation: Which Option is Right for Me? Business owners invest a great deal of time and money into their companies, and they will want to be sure they are able to reap the rewards for their efforts. When forming a business, it is important to select the correct entity that will allow you to file taxes properly and address liability issues. Sole Proprietorship – In this type of business, there is no separation between the owner and the company. Revenue generated by the company is taxed as part of the owner’s income, and the owner is personally liable for business debts. 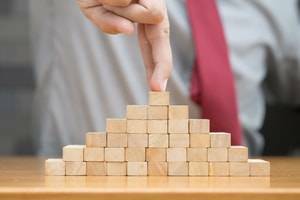 When a business becomes involved in a legal dispute, it can have a major impact on the company’s bottom line. While the costs of commercial litigation can be significant, successfully defending against a lawsuit can help avoid being required to pay damages. 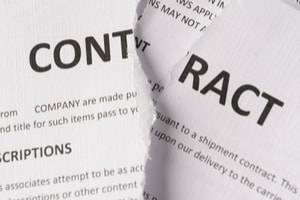 Breach of contract lawsuits are one common type of commercial litigation, and business owners should be sure to understand their options for defending against accusations that they have not fulfilled their contractual responsibilities. During the hot summer months, spending time on the water is a great way to enjoy the outdoors while staying cool. 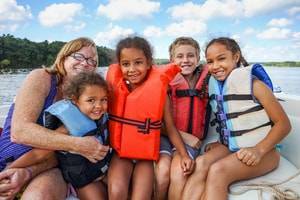 However, the increased use of boats during the summer leads to a higher likelihood of boat accidents, which can result in serious injuries. The U.S. Coast Guard reported 4,291 boating accidents across the United States in 2017, resulting in 658 fatalities and 2,629 injuries. In Wisconsin, there were 106 reported incidents, which resulted in 25 fatalities and 79 injuries. Those who use boats can decrease the risk of boat accident injuries by following the proper safety measures. 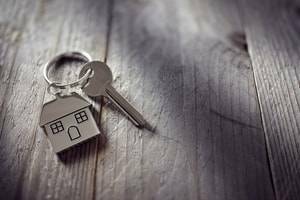 Failure to disclose - Under Wisconsin law, a seller is required to fully disclose any known defects that affect the value of a property, present safety issues for those who use it, or result in a shortened lifespan for the premises. Failure to disclose required information may result in the buyer rescinding the purchase contract. Furthermore, in some cases, a seller may be required to pay damages to the buyer. Zoning issues - Following the signing of the purchase contract, legal issues affecting the property may arise, such as disputes over boundaries or property lines, zoning regulations that affect how a property can be used, or easements on a property. 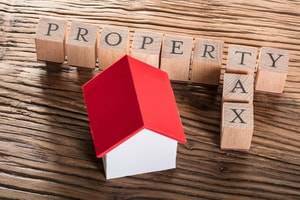 Litigation may be required to determine how these issues will impact the sale of the property. At some point in life, most people experience being pulled over by police or receiving a ticket for a traffic violation. 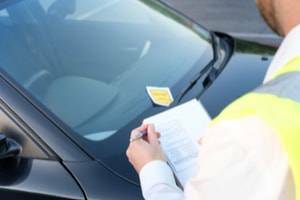 While a traffic ticket can disrupt your life and affect your insurance rates, drivers may not worry too extensively about the consequences of these seemingly minor offenses. However, it is important to realize that each ticket received goes on your driving record, and multiple offenses may result in serious consequences to your license. What is Possession of a Controlled Substance in Wisconsin? The state of Wisconsin treats drug crimes very seriously. 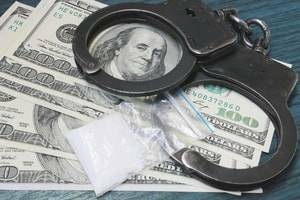 While drug distribution or trafficking can result in lengthy jail sentences or extensive fines, simply being in possession of an illegal drug (known as a controlled substance) can also lead to severe punishments. Those who are facing drug charges for possession should be sure to understand how Wisconsin laws affect them. Under Wisconsin law, it is illegal to possess or attempt to possess a controlled substance, unless a person has a valid prescription or is legally authorized to possess the drug in question. Controlled substances are grouped into different “schedules” depending on their potential for abuse and their accepted use for medical treatment. Most people spend time on the road each day, and driving is such a habitual activity that the dangers are often forgotten. However, it is important to remember that anyone who gets behind the wheel has a duty to protect the safety of those who use the road. Unfortunately, drivers can neglect this duty and act in a manner that puts themselves and others in danger. One of the most common ways that people do so is driving while drowsy, which can lead to serious and often fatal car accidents. 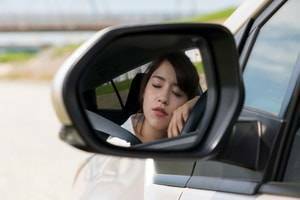 The National Highway Traffic Safety Administration has reported that around 800 fatalities occur in the United States every year due to drowsy driving. However, other studies have suggested that the problem is even more widespread, and fatigued driving may be a factor in as many as 1.2 million car accidents every year, leading to up to 8,000 deaths and 500,000 injuries. Motor vehicle collisions can be incredibly traumatic, resulting in serious, life-changing injuries such as broken bones, traumatic brain injury, or paralysis. However, even if someone does not suffer major trauma, a car accident can cause long-lasting harm that is not immediately evident. Soft tissue injuries can occur in minor collisions. 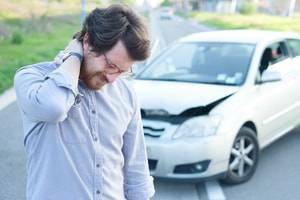 Therefore, if you have been involved in a motor vehicle accident, it is important to be aware of the symptoms of these types of injuries and seek treatment. Being armed with this information will help ensure that you are able to pursue compensation from the party or parties responsible for your damages. What Are Soft Tissue Injuries? What Factors Are Considered in a Wisconsin Child Custody Case? During a divorce, disputes about how parents will divide responsibility for their children and where children will live can be highly contentious. When divorcing parents in Wisconsin are working to make decisions about their children, it is important to understand how the state’s child custody laws affect these matters. Wisconsin law divides decisions about child custody into two categories: legal custody and physical placement. Legal custody involves the right to make decisions about a child’s care and upbringing, including the medical care he or she receives, where he or she will go to school, the choice of religion, and permission to obtain a driver’s license, join the military, or get married. Physical placement (also known as visitation) refers to the time a child spends in each parent’s care. Every year business owners go through the ritual of opening up their notices from their municipality or an assessor to see how much the municipality is charging for property taxes that year. Of course, that ritual often ends with a groan and perhaps a feeling that for whatever reason this is not right. What can you do to make it right? What Is the Difference Between CBD Oil and Marijuana?